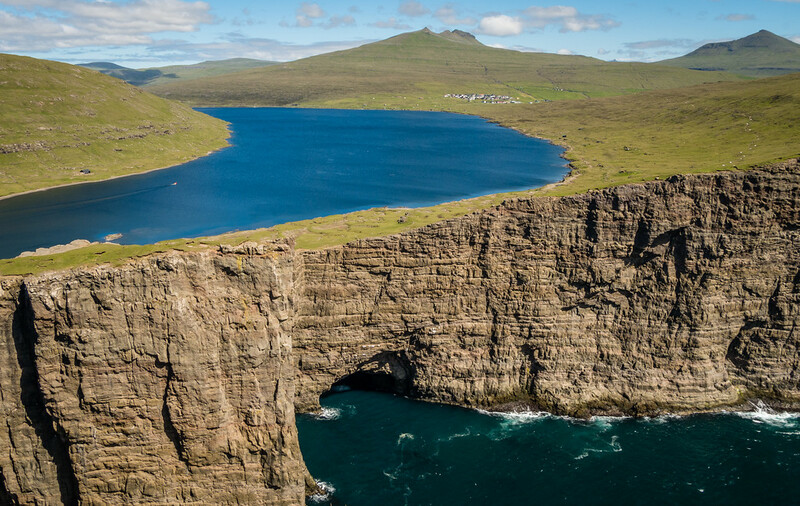 Unfortunately, most tourists don’t give Vagar the time it deserves. 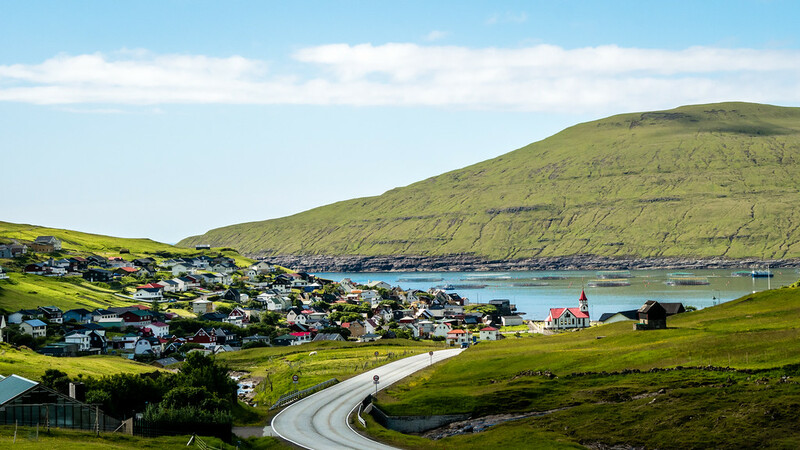 From the airport, many tourists take a taxi directly to Torshavn, the capital of the Faroe Islands. This is a real shame as Vagar is a stunning island and should be given at least a day for exploration. 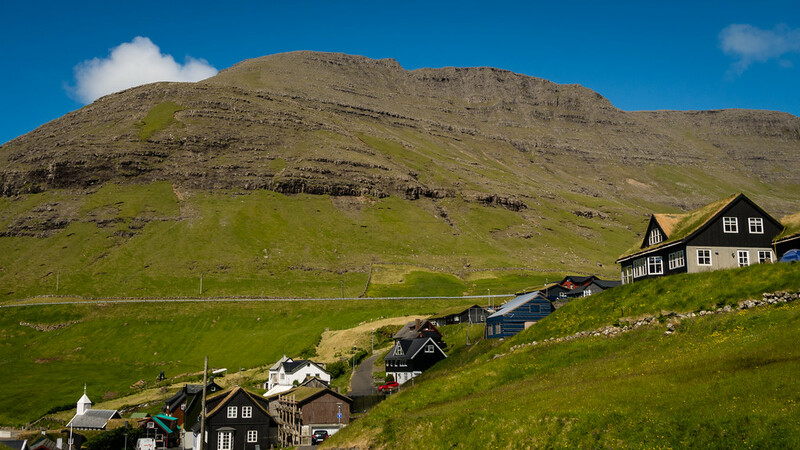 Vagar is the third largest of the 18 Faroe Islands but ranks 5th in population size with only ~3000 inhabitants. That means there is lots of untouched nature to explore and enjoy! 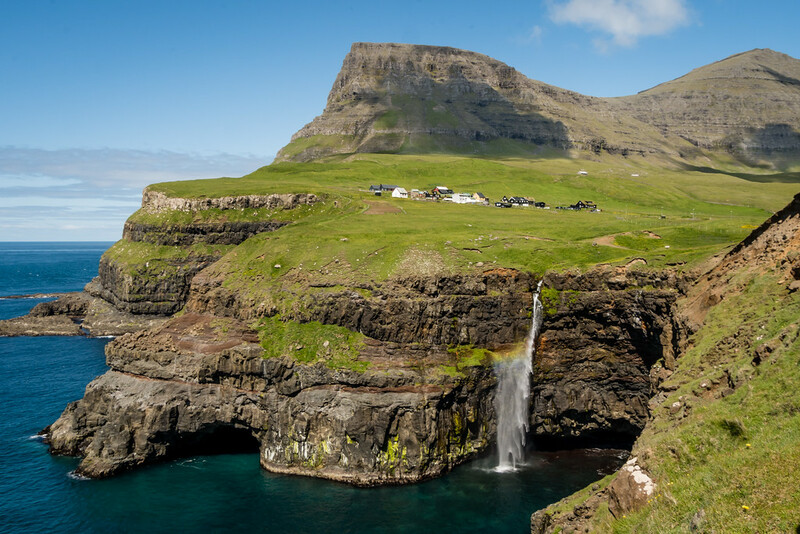 Since there is only one main road through Vagar, I’ve organized my description of Vagar’s towns and attractions from west to east, beginning with the village of Gasadalur and its famous waterfall. 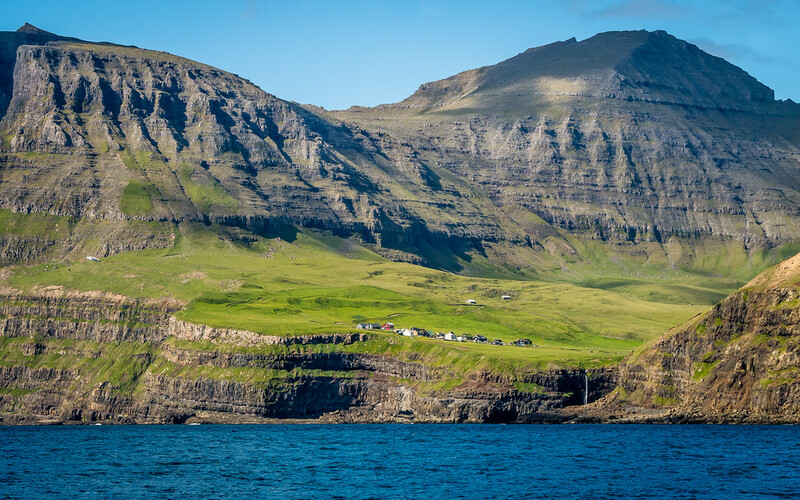 Since Gasadalur doesn’t have a beach to land boats, residents used to hike a strenuous 4km trail over the mountains to the neighbouring village of Bour, just to go fishing! The postman even had to hike over the mountains up until helicopters started servicing Gasadalur. In 2004, a tunnel was blasted through Eysturtindur to connect Gasadalur to Bour (Bøur in Faroese), making it easier for tourists to visit. Since I didn’t rent a car in the Faroe Islands, I didn’t expect I’d be able to see Gasadalur or its beautiful waterfall. 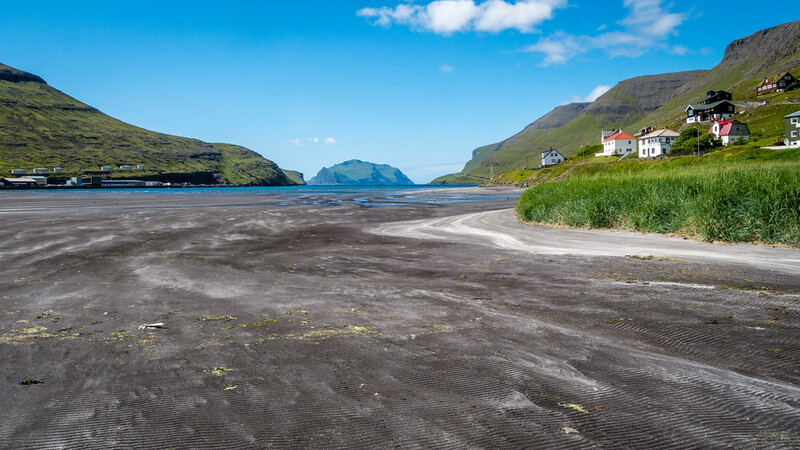 The only access to Gasadalur via public transport is to take the bus to Bour and then hike the old village path from Bour to Gasadalur. I imagine this is an amazing hike, and I definitely plan to do it when I next visit, but I didn’t have time during my last trip. Luckily, while waiting for the bus to Sorvagur for the Mykines ferry, a young woman made a u-turn and offered me a ride. Since I had a few hours before my ferry, Sanna, the young Faroese woman, even offered to take me sightseeing to Bour and Gasadalur. Sanaa is a student at Oxford University who was home to work and see her family for the summer. The fact she went out of her way to show me around was an amazing introduction to Faroese hospitality! I later learned that hitchhiking is very common and easy in the Faroe Islands. If you don’t have a rental car, consider using your thumb to get around rather than the bus. 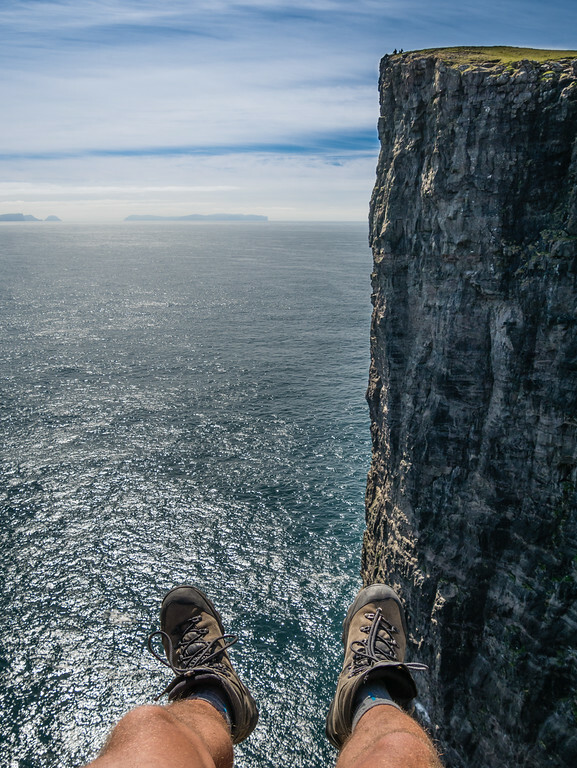 From Gasadalur, it is also easy to see the island of Mykines, home to hundreds of thousands of birds but only 14 people. 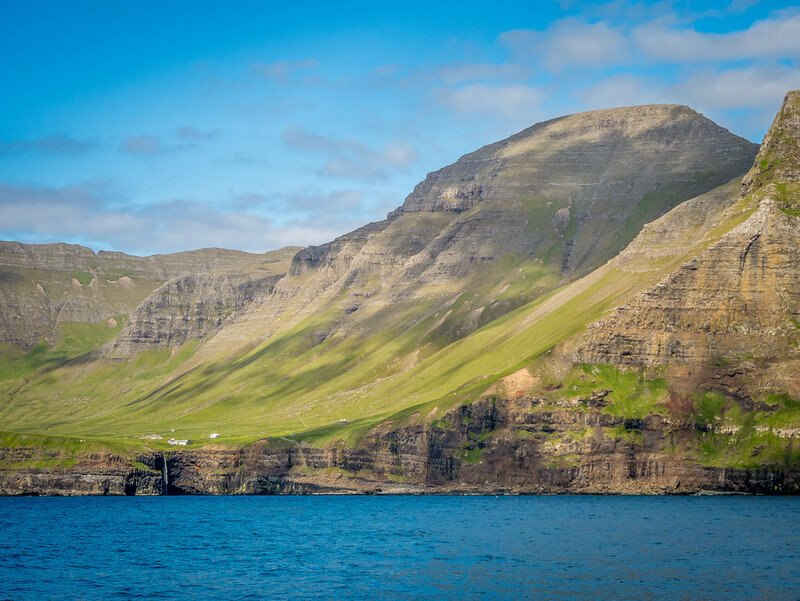 Bour (Bøur in Faroese) is a small village of 75 people on the west coast of Vagar. 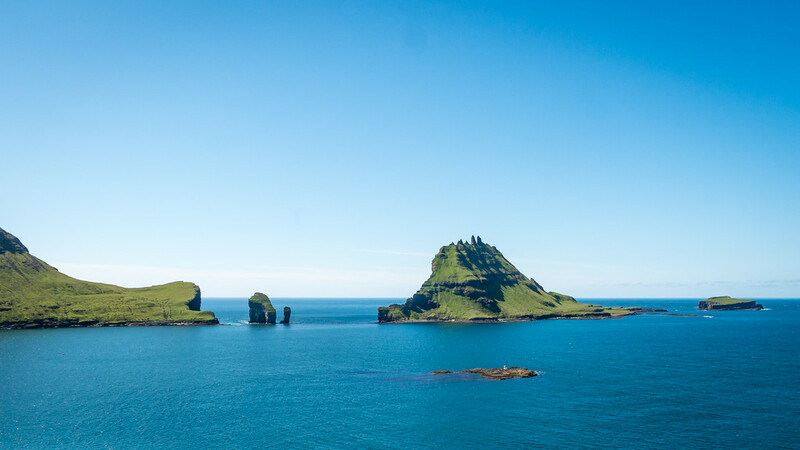 Located on the Sørvágsfjørður fjord, Bour offers fantastic views across the fjord to the rocky, uninhabited island of Tindhólmur. 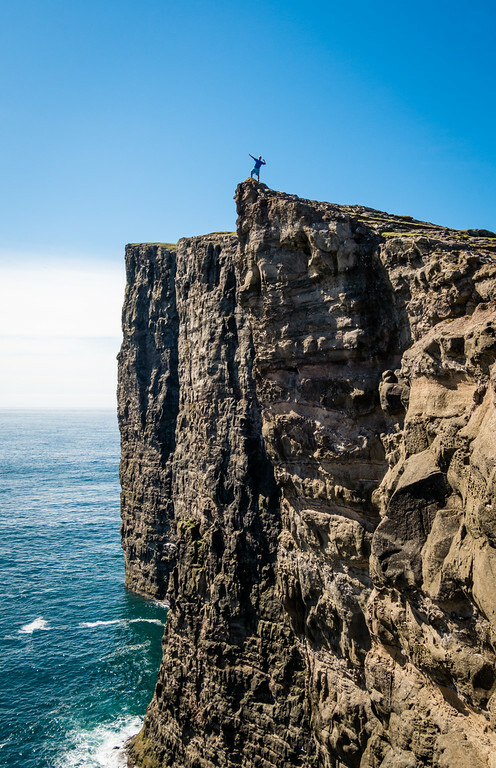 In 2014, two men managed to climb all five of Tindholmur’s peaks. When I mentioned this to Sanna she told me she knew the guys. During my trip, I got the feeling that Faroese people either know each other or know of each other through mutual friends and family. What a beautiful sense of community! Sorvagur (Sørvágur in Faroese) means “The Bay of Sør” and, sensibly, Sorvagur lays at the end of Sørvágsfjørður fjord. 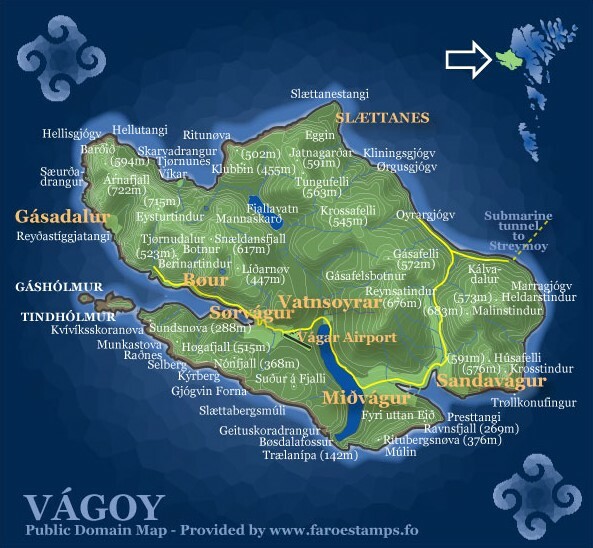 Sorvagur is the 2nd largest town on Vagar, with nearly 1000 people. 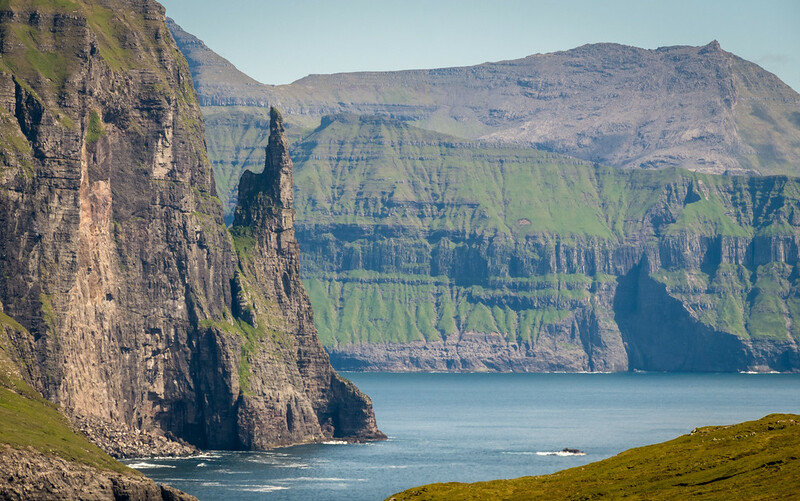 Most tourists will visit Sorvagur as it is the departure port for the Mykines ferry. Sorvagur features a massive sandy beach, so if you happen to be there during low-tide, it is a very pleasant place to walk around. Unfortunately, I just missed the Sørvágs Country & Blues Festival. It sounds like a great time, especially if the weather cooperates, so next time I’ll plan my visit for some good ol’ fashioned boot stompin’ fun. 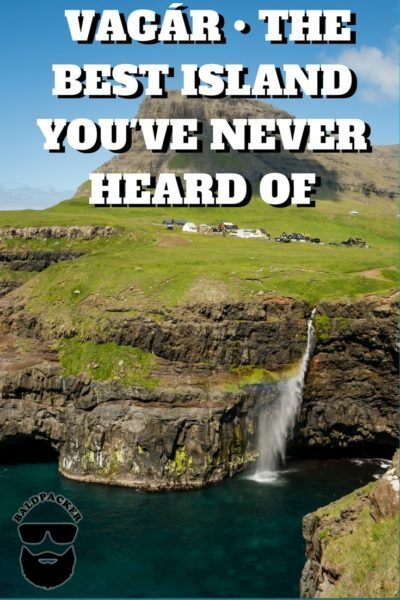 Vatnsoyrar (also Vatnsoyrar in Faroese) is a small village of only 56 people. 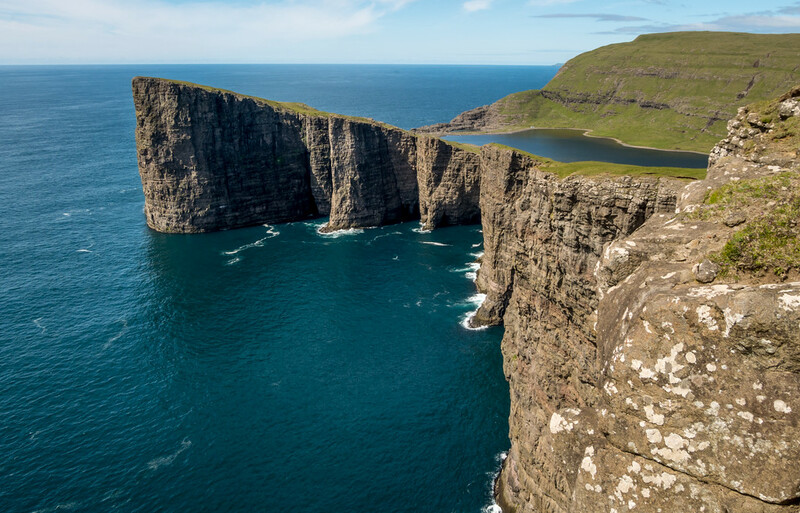 Interestingly, Vatnsoyrar is the only village in the Faroe Islands that is not located on the coast. Instead, it is located on the Vatnið, which simply means “the lake”. The actual name of the lake is subject to disagreement among islanders, so I suspect calling it Vatnið is simply a peaceful compromise. Apparently, people from Sorvagur prefer the name Sørvágsvatn while those from Midvagur and Sandavagar prefer the name Leitisvatn. My map showed the lake divided into two, with the west and east having different names! I did not visit Vatnsoyrar but apparently there is a small motor museum that hosts a 1915 Model T Ford and 1922 Model TT Truck. Midvagur (Miðvágur in Faroese) is the largest town on Vagar, with a population of 1,055. 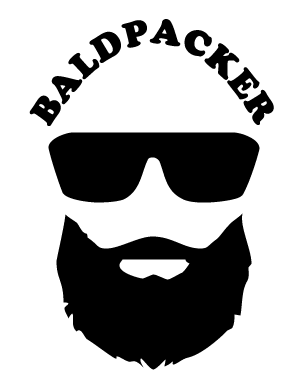 It is the best place to stock up on food and supplies and the only town with a liquor store on Vagar. In WW2, nearly 6,000 British soldiers occupied Vagar. The airport was built by the British and its location was chosen because it would be difficult for the Germans to see and target. This history is preserved in the Midvagur War Museum which is only open 2pm-4pm on weekneds or upon request. Sorvagur (Sørvágur in Faroese) is in the SE of Vagar and has a population of 875. While on Vagar, I stayed at the Giljanes Hostel and Campground, making Sorvagur my base for exploring. The hostel is west of town so, if taking the bus from the airport, to ask to stop at Gilanes Hostel. I asked to go to Sorvagur, where I thought the hostel was located, so we drove past my stop. Funnily, I was the only passenger so the driver actually made a U-turn, in a 40-foot bus, to drop me off outside Giljanes. What hospitality! 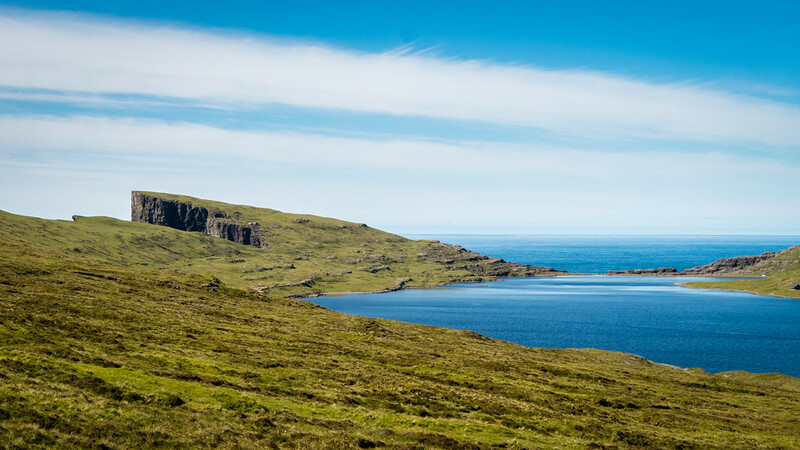 Incredibly, Koltur has a population of ~160 sheep but only 2 people! In fact, the island was abandoned in the 1980s until 2 people moved there in 1994. They must really enjoy solitude! 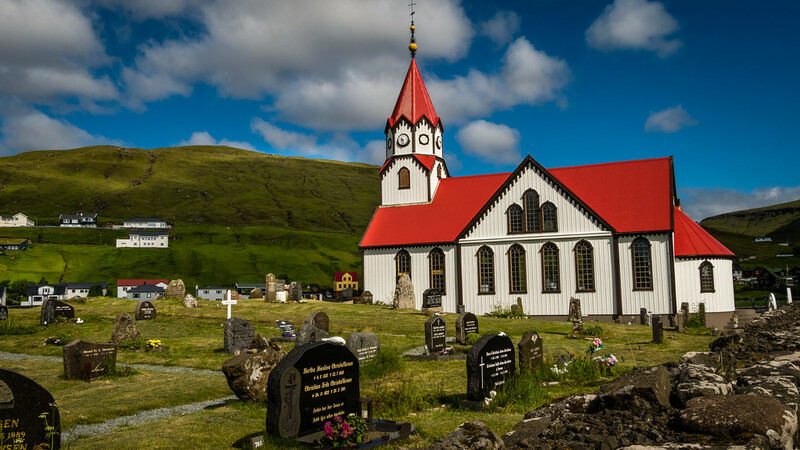 A distinctive highlight in Sandavagur is the beautiful red-roofed church, which was built in 1917. The church houses a 13th-century runestone bearing an inscription stating a Norwegian Viking, Torkil Onundarson, was the first settler in the area. From Sorvagur, you can also walk towards Trøllkonufingur (Trollwoman’s Finger), though this view was from the hills above Midvagur. I’m sure you can see why I loved Vagar so much. 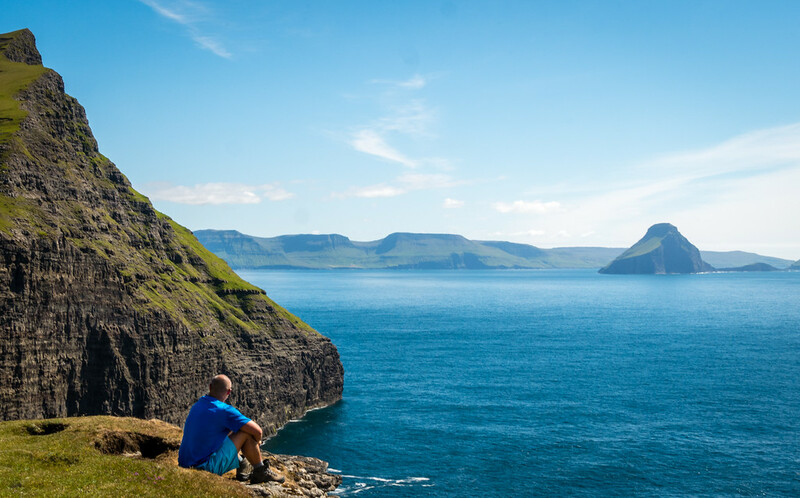 Vagar’s stunning scenery and low population density make it a nature lover’s dream. Thanks to the great weather, I also saw many locals out with their families at all times of the day. 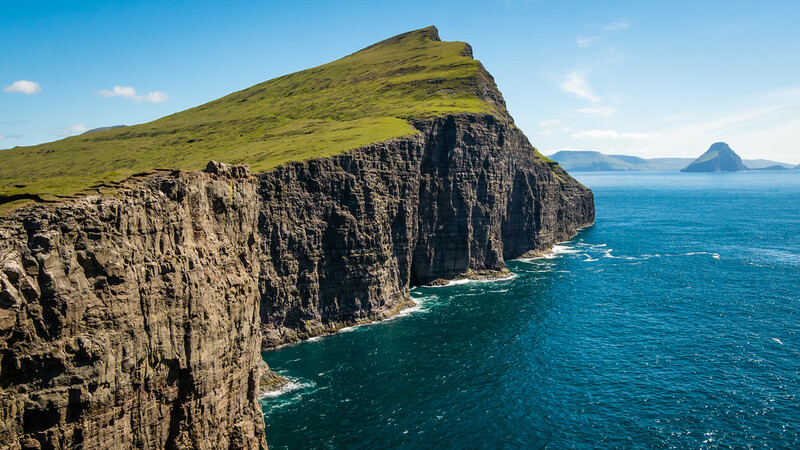 Given Vagar is home to the Faroe Islands airport, all tourists should plan on exploring this fantastic island. I personally can’t wait to return for more hiking and hopefully some country music! That sounds amazing! 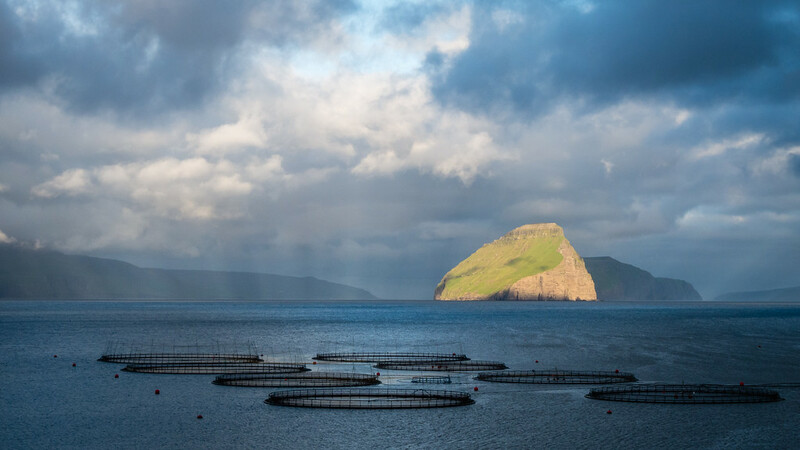 I’m off to the Faroe Islands at the start of August 2018 and your review of Vagar sounds brilliant. Like you, I can’t afford a hire car so will rely on buses to get around. Any advice on that? Buses worked relatively well but in hindsight I wish I’d just hitchhiked more! 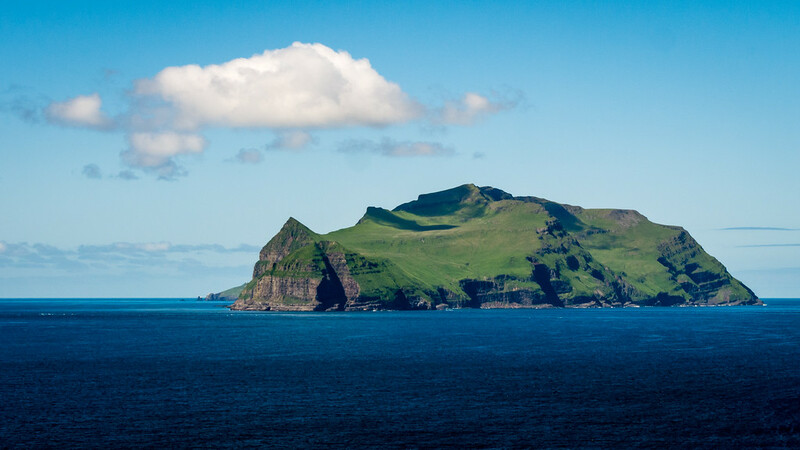 The Faroese are incredibly friendly and welcoming and I think it’s quite easy to hitch from place to place compared to waiting and paying for the bus!